The first major rule to writing a good blog is to not reblog. Don't post others stuff. Not really because of plagiarism but just because if a blogger was to do that they'd cover ground that has been covered before. However I've decided to break that rule, due to the supreme awesomeness of what I'm about to share. 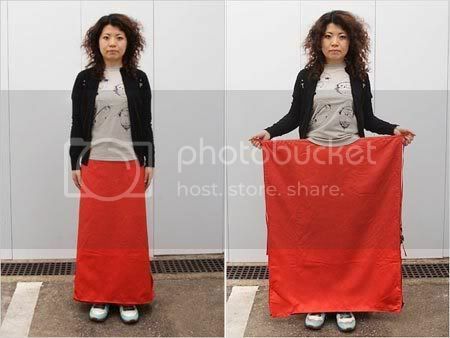 The Japanese are known for their crazy inventions which seem to serve very limited and specific purposes. Case in point the cat mop, or the full body umbrella. However a Japanese designer has managed to develop, what I can only describe as a security device, which mimics old time cartoon techniques. You may remember as the witty mouse scurried about the marketplace, in hopes to avoid the cat in chase he would often find refuge in a clay pot or potted plant. 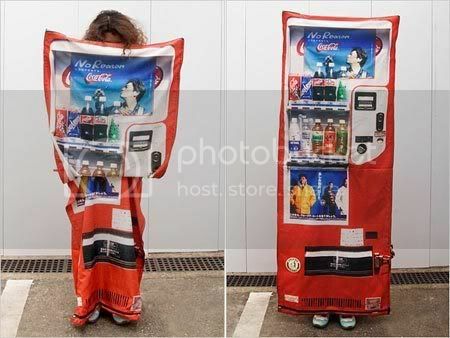 Now when you are being chased by someone you're able to disappear in a row of vending machines. How awesome is that! There are actually quite a few "devices." 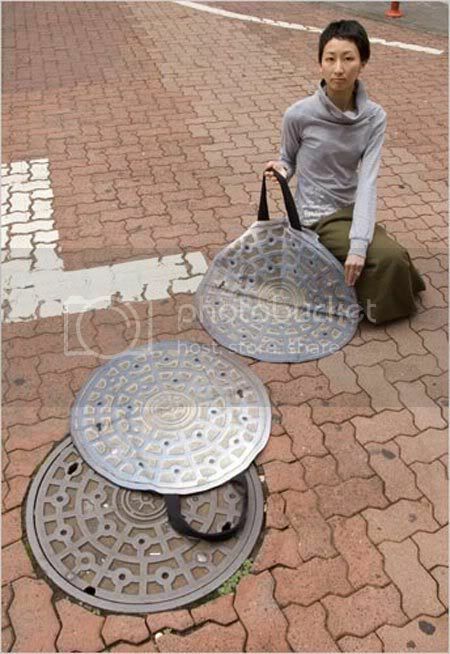 A backpack which can unfold to become a "fire extinguisher" or a purse that looks like a manhole cover so when you're being chased you can throw it away from you and the pursuer won't know where your belongings are. 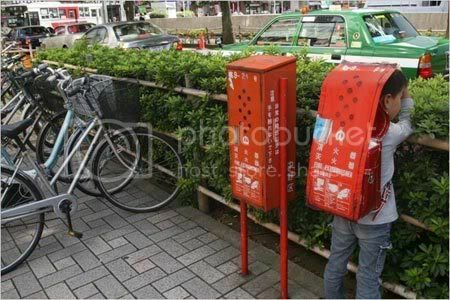 Japanese have the best "inventions."